⬅ Are You Blind to Your Amazing Blessings? In a lot of ways, the Merrill family is like any other family. We’ve had our triumphs and our tragedies, our good times and our hard times. But there are two huge ways in which our family is unlike any other and their names are Hannah and Grant. 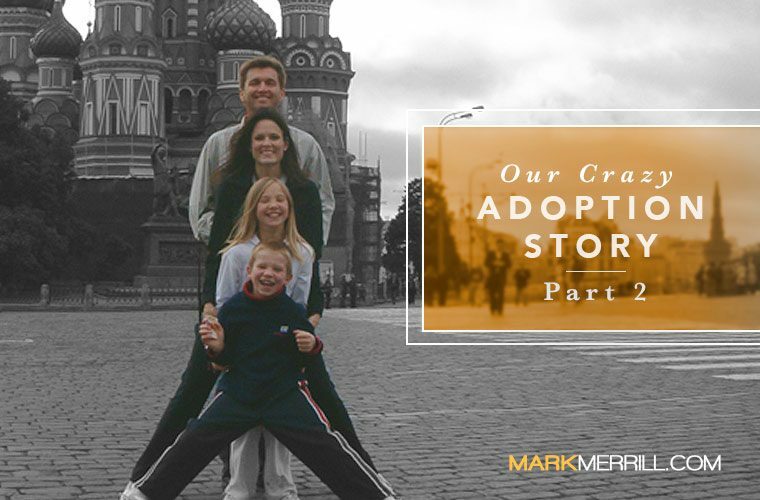 Ten years ago, we chose to expand our family by adopting two children from Russia. So, in addition to our three biological kids, my wife, Susan, and I have had the huge privilege of raising Hannah and Grant. A few weeks ago, Susan and I unpacked the first half of our crazy adoption story. And on today’s show, we’ll be sharing the second half of our crazy adoption story.